I've had a couple requests for my Christmas book recommendations, and I know everyone is gearing up for the holiday season. For those of you who might need a little time to purchase or locate Christmas books, I thought I'd get this post up as soon as possible. Check out my Amazon store for a complete list and links for my favorite Christmas books. Be sure to click on the subcatagories (in the top right column) for additional books and music! You can find a few reviews in the midst of last year's Christmas posts. 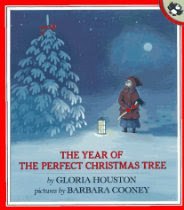 I will be reviewing the new Christmas books I've added to our treasures as we get to them during the season. I can't wait to get started! One of my favorite Christmas stories isn't in a holiday collection, so I thought I'd mention it here. 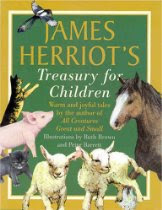 James Herriot's Treasury for Children is in my top 10 picture books for children. The Christmas Day Kitten makes me cry every time. Do not miss this excellent treasury of stories! I like your Christmas list, this is something we love also. I watched your video from your last post, thank you for sharing. Awww, I totally LOVE The Christmas Miracle of Jonathan Toomey. I cry every. single. time. I read that out loud. And then my boys make fun of me. It's our own little warped Christmas tradition. I read, they listen, I cry, they snicker. Those books are so cute..never heard of them but I will check them out! 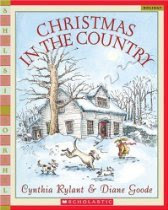 I just ordered Christmas in the Country! I have the other books you mentioned. Also, we are going to spend a week celebrating "Christmas around the world". Thanks for the inspiration! I spend f-i-v-e hours planning for December, ordering, making lists of needed supplies. We head out of town tomorrow and when we return-boom-it's December! I am so excited! Thanks for always sharing your wonderful ideas. skeller~ Yeah, I cry every time, too. ;-P Makes it hard to read out loud... Luckily Levi and Russ are saps, LOL. Luke and Leif haven't realized they can tease me about it yet. I cry when I read The Year of the Perfect Christmas Tree, The Christmas Day Kitten, Maggie Rose....well, a lot of Christmas stories. And I usually hate books that make me cry! The Good~ I'm impressed! You are all organized. It does make it hard when you go away for Thanksgiving because the Christmas season hits the moment you get back. Fine for wrapping presents or baking, but not so fine for things like Advent! LOVE The Year of the Perfect Christmas Tree! Have you read "Lion in the Box"? It's out of print I think, but something to keep your eye out for. It'll have you crying for sure!